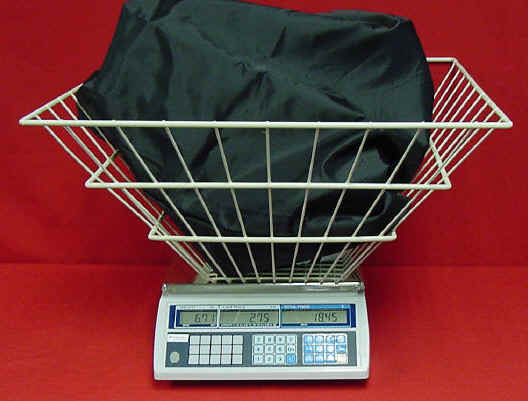 The NCI 7821 shipping scale is simple to use, durable and reliable. Its units switching feature is ideal for international shipment requirements. This NTEP approved legal for trade scale fits into any operation as a stand alone scale or interfaced to a shipping manifest software or receiving station. 12" x 14" platform. 150 lb capacity x 0.05. Configurable settings for Toledo 8213 & NCI 3835. This allows you to select compatible drivers from your shipping software. 90 day warranty. Used NCI 7821 150 lb x 0.05 lb 12" x 14" $225 free shipping in continental U.S.
Legal for Trade. This Laundromat Scale will compute price per pound and display total charges for service of wash and dry, flat work, dry cleaning and other services that are offered. Large 60 lb capacity, Stainless Steel Platter and any appropriate basket can hold laundry. Three displays to show weight, unit price and total price to customer and operator simultaneously on front and rear displays. 15 price look up keys are standard to program individual service prices. Add-ons are accumulated to give your customer the total charges for services purchased. The PS60 is an affordable 150 pound capacity scale with a display and is specifically designed to be used with PC-based shipping systems like UPS Online Office shipping software, Tracer Clippership software, Aristo APSS, and virtually all other shipping systems. This NTEP Approved Scale comes with multiple protocol support for easy interface to shipping systems, Lb/Kg switchable. Includes 6 ft RS232 cable. ABS platter. Electronic bench scale with large capacity and easy to read LED display. Lbs & Kg switchable. AC powered. RS232 output. Compatible with UPS Worldship software. Class 3 legal for trade. 90 day warranty. Very good condition. The best value for a legal for trade scale. VS-22000 laundry scale 2200 lb x 1 lb 59" x 30"
Only 2.9" high. 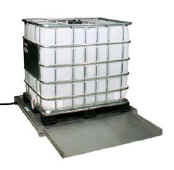 Heavy duty diamond plate platform with Two built in ramps and an electric powered T500E LED digital display. The front panel keys are LB/KG, TARE, ZERO, PRINT, and NET/GROSS. RS232 computer/printer output. Includes a 15 ft cable from platform to the display. The Indicator comes with a "U" shaped stainless steel bracket for desktop or wall mounting. One year warranty. Battery or AC operated (AC adapter included) lb, kg, oz switchable from front panel key. Keys for ON/OFF, ZERO, TARE, UNIT. Large 1" LCD display. Indicators for ZERO, NET, STABLE, LOW BATTERY. 1,000 hour operating with alkaline batteries (not included). 7.55" x 9.48" Stainless steel platform. NTEP 99-002. PS is 12" x 12"
WS is 15" x 15"
Lights for Lb, Kg, Tare and "Negative Weight"
Keys for ON, OFF, Lb/Kg, and TARE. From general purpose weighing. Parts counting mode for shipping and inventory control. Selectable units of g, kg, and lb. RS232 bi-directional interface, Net/Gross/Tare function. Auto off timer. Front panel keys for ON/OFF, PRINT/UNITS, ZERO/MENU, G/T/N/TARE. AC operation with AC adapter (included) or (6) C alkaline batteries (not included). 250 hour battery life in battery save mode. Stainless steel 304 platform. Black polyurethane painted steel frame structure. Display has 1" high LCD. Leveling feet, Leveling bubble. IP65 load cell. 120 VAC, 50/60Hz, 1.5 watts. 5 Year warranty. NTEP 99-203 III 6,000 div. Simple weighing scale with soft touch keys. Keys for ON, OFF, ZERO, TARE. Bright vacuum fluorescent display. 6 foot power cord 120 VAC. Platform size 8.9" x 13.6". Overall size 13.7" x 12.8" x 3.9" high. NTEP 90-125 III 3,000 div.